Phoenix, Arizona. Fall 1962. JFK has been elected and the Cuban Missile Crisis shakes the United States. Fond of vast spaces, Scott Hatford is a young dreamer who treasures short moments of grace with a loving mother, and tries to escape the violence of a broken father returned from the war. Each day begins with the reunion with his night-nurse mother and ends under the threat of the tyrant with a game leg. One October night, exacerbated by jealousy, the father’s fury transforms into wild intoxication. Mother and son decide to flee towards New Mexico.​Their fates are sealed on Route 66. With ​The Last Days of Stefan Zweig​, Laurent Seksik traced the tragedy of a wounded man. 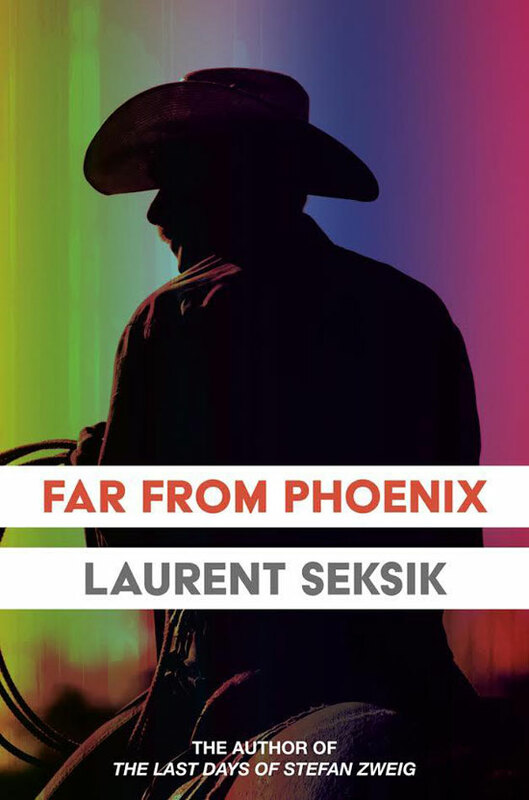 ​Far from Phoenix is the odyssey of a teenager in the American West in the 1960s. A story of hope, redemption and the power of dreams. Born in 1962, Laurent Seksik is a former doctor who became a best-selling writer. His most popular novels and graphic novels include The Last Days of Stefan Zweig and Modigliani, published by Salammbo Press.